A homemaker is a person whose main job is to take care of his or her own family home and children. Traditionally, the job of homemaker is done by women, and the job of a provider is done by men, but both men and women can be providers and homemakers. 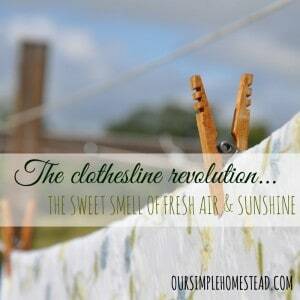 In my view, the old fashion job of a homemaker is the most valuable position I can hold. I am very happy and honored that God has entrusted me to be the fabric that holds my family together. My path may not be that different than many of you. I have been a part-time, sometimes, not very good at, a want-to-be and a full-time housewife in my career, and have always perform the job to the best of my ability. 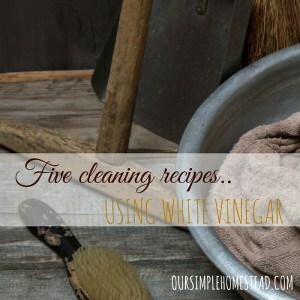 Has my home always been clean and tidy and been organized like a tightly ran ship? No, but it has been a place my family could come home to and find love. It is a place my husband does not have to worry about because he knows I am there taking care of things; like making sure the bills are paid, making good wholesome meals, and keeping things in good repair. 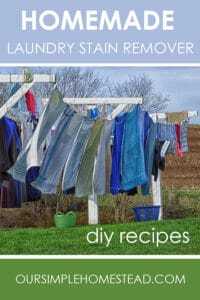 Being a homemaker is not easy and usually comes with a lot of sacrifices, but the benefits have always outweighed any sacrifice I thought I might have to make. I have to admit over the years being a homemaker was lonely and at times frustrating when I felt under-appreciated, but in the end I have always reminded myself that God made me a woman to be in charge of the home. Whatever stage you are in, I encourage you to approach your role as a homemaker with grace and humility, knowing that God will reward your dedication to your family back to you one day. Running of the Household – The homemaker is responsible for all aspects of taking care of the home from cleaning and maintenance to overall general upkeep of the family dwelling. All decorating and overall living comfort is a key aspect of this position. 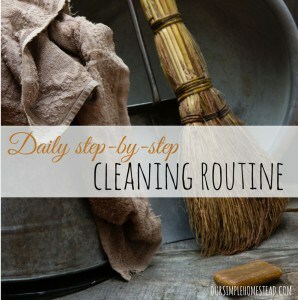 All meal planning, laundry duties and organization of the home will be part of the daily tasks. Food Preparation – All family meals, lunches, and entertaining is the responsibility of the Homemaker in charge. Shopping and planning within the budget is expected. All food storage, preserving and light gardening will be required. 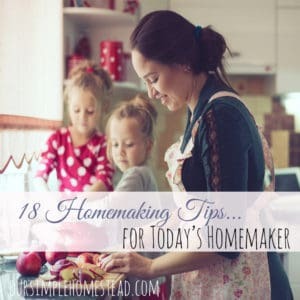 The Homemaker may delegate some of these duties to older children or a spouse as needed. Cleaning – Cleaning duties may include dishes, bathrooms, floor cleaning, vacuuming, dusting, windows and laundry and may be asked to perform lawn maintenance as needed. 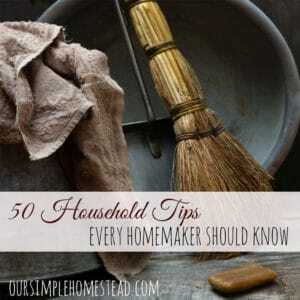 The Homemaker may delegate some of these duties to older children or a spouse as needed. Financial Officer – The Homemaker is responsible for maintaining and overseeing the family budget. To include all banking and household finances. It is expected that the Homemaker review the budget monthly and review with their spouse any unseen expenses and future planning needs. Childcare/Adult care – If the home has children, the Homemakers role is to be the primary caregiver to all children and to coordinate all activities and homework responsibilities. The Homemaker may delegate some of these duties to older children or a spouse as needed. At times may also be required to provide assistance to the elderly family members. Nurse – The Homemaker is responsible for all basic first-aid needs, which includes small cuts, scraped knees, the common cold, flu and headaches. Doctors, Dentist and Eye Doctors should be contacted, and services rendered when needed. Errands and Appointments – The Homemaker is charged with running errands and scheduling appointments when necessary. May be called on to arrange home repairs and service on all vehicles as needed. The Homemaker may delegate some of these duties to older children or a spouse as needed. Must be able to provide 24-hour care with a loving heart, be a multitasker, be a gracious help mate, work for little pay, and must be able to create a joyful atmosphere in the home. What advice would you give to a new homemaker? Please share with us in the comments below. Beautiful post! This is also my most valuable position and title. Some days I may fail miserably, but like you, I do the absolute best job I can, and I am at peace with that. I think you summed it up perfectly here: “Has my home always been clean and tidy and been organized like a tightly ran ship? No, but it has been a place my family could come home to and find love.” I believe this is my #1 task as a homemaker. Much thanks for sharing! Tonya I am glad others think the same way! 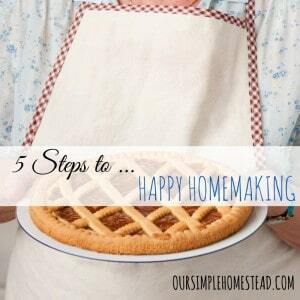 I do hold a lot of value in my homemaker position and I know I am not always good at it but I try and make our home happy and that means more than then anything else! Thanks Carrie! 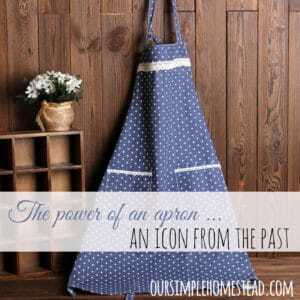 I love being a homemaker and want to pass the art of accepting the position with grace to alle new homemakers! I love this. I’m a work in progress, but I cherish the role of homemaker. I came over from Fabulously Frugal Thursday. I’m so glad I did! I believe God blessed me in loving to be a homemaker! You left out Other Duties as Assigned. This is a great description of a job that so many of us take for granted. Hope you have a great day. You are so right! All other duties as assigned is a big one one! I do all that stuff and have two jobs. Homemaker is not a job. 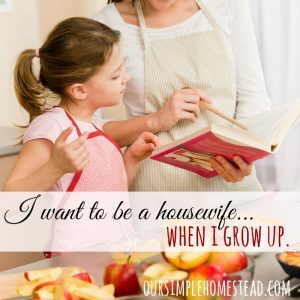 I have always wanted to be a stay at home mom and homemaker. I was not able to do this when my kids were growing up. I had to work outside the home to help support our family. now that the kids are grown and on their own, I was able to retire from my paid job. I have been home almost a year now. I love every minute of the day. I do all the things you mentioned in your article. I get a good feeling from keeping this house running as smooth as possible while my hubby still goes out on his paid job. I would not change it for anything. I have a garden this year and have been able to put up lots of veggies for the winter. I am having the time of my life and feel very blessed to be able to do this. Sounds heavenly! Enjoy your retirement and the time you get to spend in your home. I love being home and keeping things running smoothly. I love this, thanks for sharing! 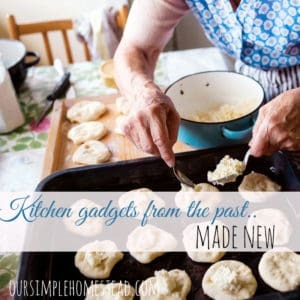 I remember watching my grandma be a homemaker when I was little. I wish I would’ve asked more questions and payed better attention to her duties. As an adult, I’ve had to learn mostly on my own. 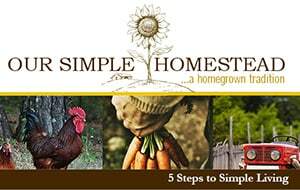 Have you ever thought out doing live Facebook classes on the basics of homemaking?